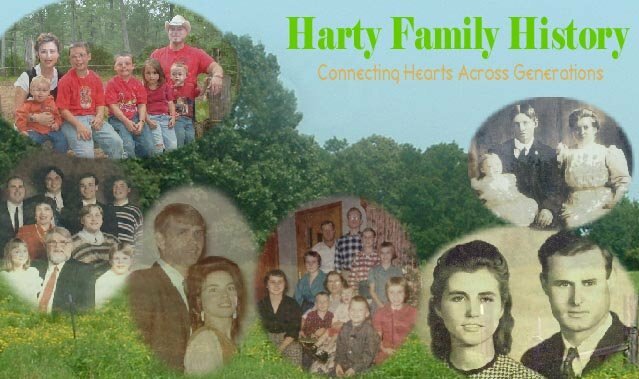 Welcome to the Harty Family History Site! 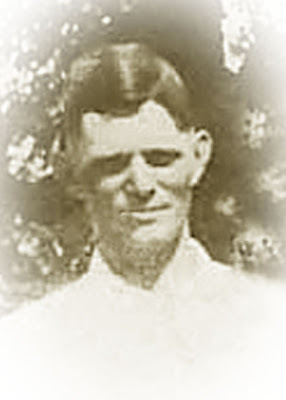 This site is dedicated to researching the Harty Family in the United States of America. 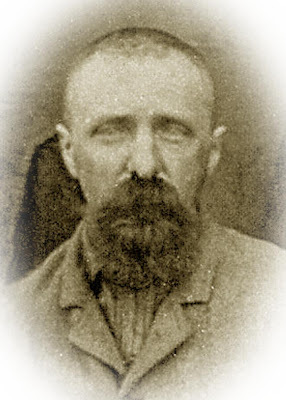 Drawing our lineage back to Hans Jacobsen Hartje, immigrating from Bern, Switzerland and arriving in America on April 16, 1663 in New Amsterdam (modern day New York City), our line has been based out of Southeast Missouri since the late 1790's. The primary aim of this site is to gather the family together from across the Nation and even the entire world, as we seek to number our family and take pleasure in the diversity of each individual in the Harty Family. I've been wanting to do this video for sometime. 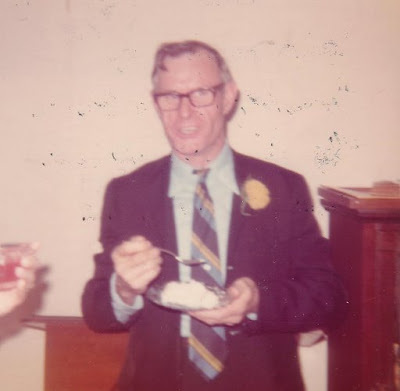 It is a slide show of mainly family pics (and other photos I found on the internet on public domain) of the life of my grandfather, Paul Hampton Harty. 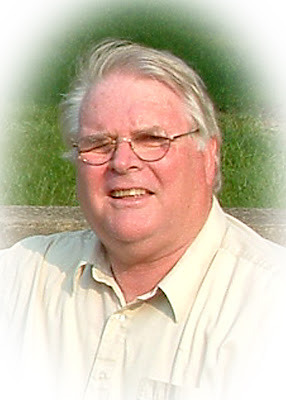 My dad is his firstborn child, Paul Hampton Harty Jr. The video, I hope, does a fair job of chronicling my Grandpa Harty's life, as well as the impact that his life continues to have on his posterity. Without any further ado, I'll post it and say, Happy Father's Day to my Dad!!! I want to thank you for helping me see my ancestors 'in color', many of who I haven't ever met, only through stories from you. This is a great little slide show with of course, the Battle Hymn of the Republic being performed by elementary, and high school students. This arrangement was originally performed by the Mormon Tabernacle Choir, it appears in 1960. These youth did a fantastic job, and it is almost as moving as what the MoTab did. The slide show goes along quite well. As Memorial Day just recently passed, this is a fitting VIDEO. Enjoy! It takes a while for the show to start...just be patient. It takes about 10 seconds till the text moves onto the slide show. Here is a great piece that my cousin Celesta Krantz must have shot quite a while ago. 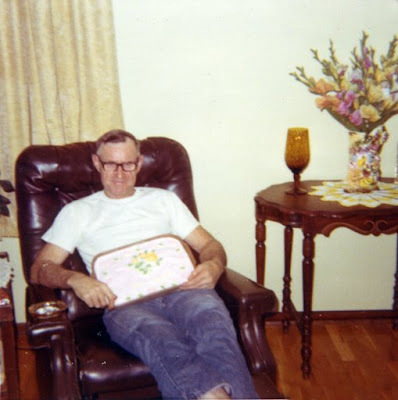 It was taken in February 1997, not long before my Grandpa Harty (Paul Hampton Sr) died. It is quite a treasure! 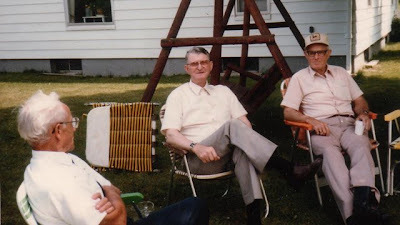 I sure miss listening into those many conversations of my aunts and uncles and Dad talking with Grandpa. Thanks, Celesta, for doing the interview and then putting this snipit of the video out for us to see. Great stuff!!! 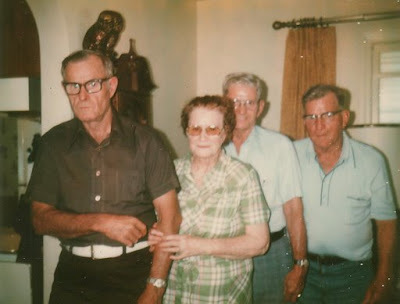 I hope you enjoy this nice pic of my grandmother Izella, Uncle Gordon and Grandpa Harty. 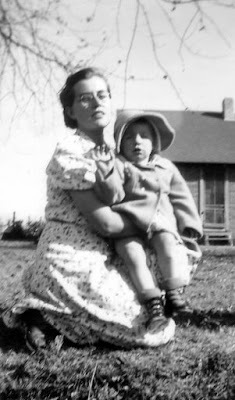 Of course, Gordon is just a little guy (sometime in 1955...he looks to be about a 1 year to year and half old). I wish it is was color so it would come alive just a bit more. But I can already imagine it that way. At any rate, not sure where exactly it was taken, but is likely in Stoddard County, Missouri somewhere. Any info. on this pic would be great. Dad sent this onto me, and it was sent to him by a Beth. Not sure who she is (my wife is always Bethany, so I know its not her). More details would be appreciated...enjoy! I've heard this before, but I've never seen the actual video of it. I wasn't quite born at the time! I think this is really all one needs to know to wonder why someone would want to be an American...a citizen of the United States of America. And if they couldn't make this Pledge, then they shouldn't be admitted as a citizen. And if they are a lazy, unproductive American...well, I don't rightly know what to do to help them! This is from the Red Skelton show, June 14, 1969. Follow this link (it isn't on YouTube..) Someone made this with the same audio, but with a picture of Red and with patriotic pictures in the background. I surely pledge my allegiance to the greatest country to ever grace the earth. I know this is why my ancestors came here, lived here, fought to protect their families when needed, and then went back to making their lives and others as good as they possibly could...all under the protection of the laws of the land. 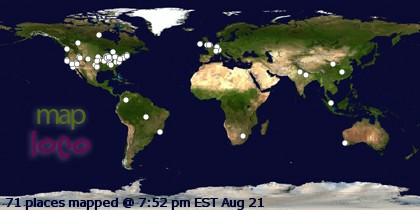 I love the United States of America and hope and pray that is always here...for myself and posterity! Also, in honor of Robert E. Lee's 201st birthday yesterday, January 19th and Thomas J. 'Stonewall' Jackson's 184th birthday tomorrow, January 21st - I thought this video to be appropriate as well. Surely, they both felt this way often during the War Between the States, and General Lee must have often missed one of his most prolific generals. I believe our Heavenly Father took General Jackson home when he did in May 1863, or the Confederacy would have surely won! And although I love the men of the Confederacy and their patriotism that they supported by often paying the ultimate price - their lives - we surely became the Greatest Nation on the Earth because we became a Nation after the Civil War. At any rate, nice job on the video, Fan! This is a repeat post from Memorial Day, but the sentiment is the same. 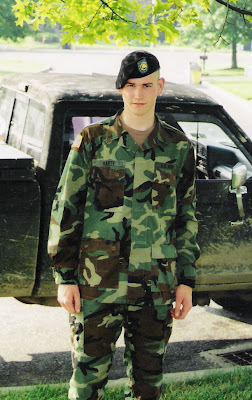 I love and respect all American veterans and current servicemen, but especially those in my family. I thought you might enjoy this great video slide show of the Trace Adkins song, Arlington. The images are moving and it will help you remember the sacrifices of those that keep our Nation safe. I know it did for me. 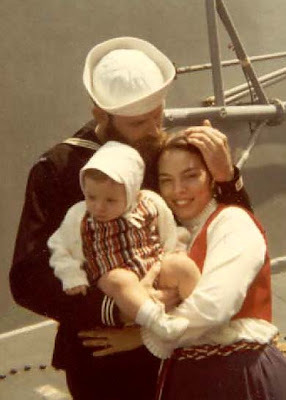 This is my Dad, Mom and older brother Lewis when he was about 7 months old. Dad appears as though he just returned from the Mediterranean in May 1971 in this pic. It is on the deck of the USS Leahy, DLG 16, and Dad said it was the last time he set foot on the deck. It is now decommissioned. 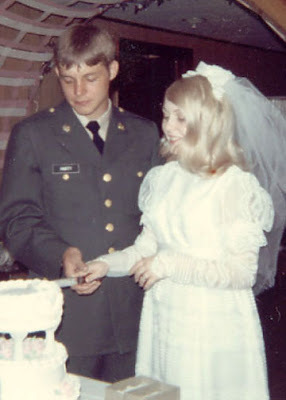 Gordon Harty, - US Army - 1 Apr 1972 This is my Uncle Gordon, and his wife Pam on their wedding day. 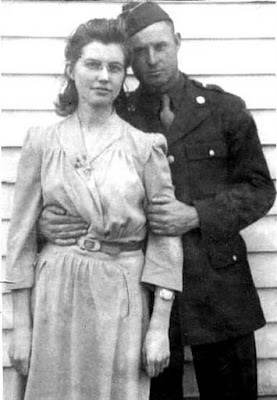 Uncle Gordon was involved with tanks during the war. 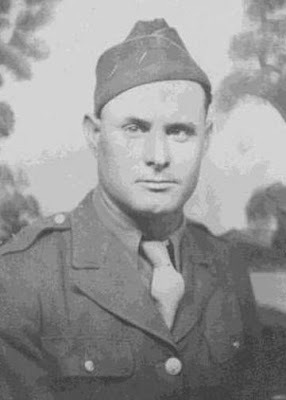 He was a part of the Tank Corps in Colorado Springs. This is my cousin Kevin. His is my Uncle Gary's oldest son. He is a proud active member of the 28th Infantry Division. Hooah! Kevin...keep up the super work in defense of the greatest Nation on God's green earth! Kevin appears to be in the far back row on the right. If you look in the comments section, you'll see a real long post. That is where some of our ancestors who were veterans are also listed. 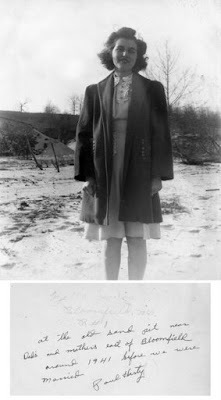 Again, most of the posts here are direct ancestors to me. But there were many more who served to protect America. These pics are made available courtesy of my cousein Celesta Krantz. It is a great bunch of pictures, and I hope you enjoy them! 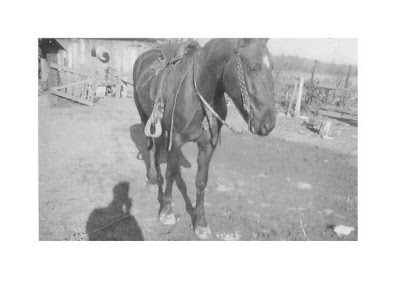 I'm sure Grandpa Harty would want me to put in this pic of his old horse! This is his horse, 'Dan', according to my Dad. That looks like Grandpa's shadow in the foreground taking the picture! 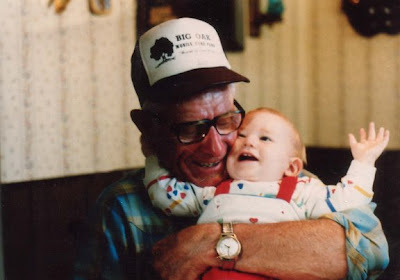 Grandpa Harty appears to be applying his infamous 'day-old beard hug' on little Kevin here. No mercy! Grandpa Harty loved all his grandkids, as you can plainly see in the great picture. Kevin is Gary's oldest child. Gary tells me that Grandpa referred to the beard scratch as 'Grandpa Wisdom'! Again, here are some super pics courtesy of my cousin Celesta Krantz (Johnston) - she is Paulette's daughter in case you didn't know. 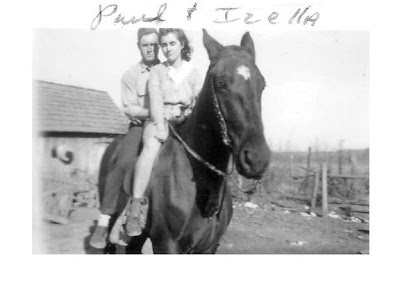 These are some more great pics of Grandpa Harty and his first wife, Izella. I never got the chance to meet Grandma Izella, but surely look forward to that glorious meeting on the other side. 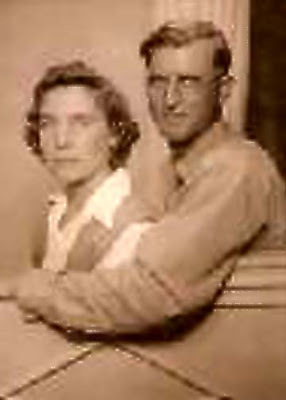 As you may know, all of my Dad's sibilings were all children of Paul Harty Sr and his wife Celesta Izella Lewis. Most of these pics are from their early marriage years. Thanks again for the great pics, Celesta...Enjoy! Not sure when this pic was taken, but I'm guessing it sometime during courtship. I recognized my great Grandpa Harty right away from his stance. I thought I had seen him standing like that in a picture, but I don't think so. 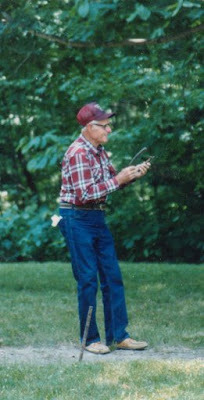 I figure his son, my Grandpa Harty, must have stood the same way! If I'm not mistaken, that looks a lot like my Dad's handwriting on the back of this photo. 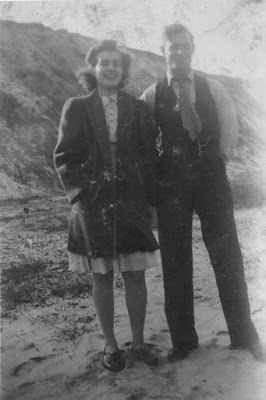 Dad, any idea when it was taken? Here is a great quote found by my brother, Nathaniel. This was said by John Dickinson from Pennsylvania in the late 1770's likely during the 'independence years' of America. "Honour, justice and humanity call upon us to hold, and to transmit to our posterity, that liberty, which we received from our ancestors. It is not our duty to leave wealth to our children: but it is our duty, to leave liberty to them. 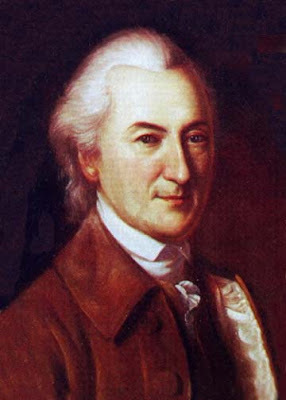 No infamy, iniquity, or cruelty, can exceed our own, if we, born and educated in a country of freedom, intitled to its blessings, and knowing their value, pusillanimously deserting the post assigned to us by Divine Providence, surrender succeeding generations to a condition of wretchedness, from which no human efforts, in all probability, will be sufficient to extricate them; the experience of all states mournfully demonstrating to us, that when arbitrary power has been established over them, even the wisest and bravest nations, that ever flourished, have, in a few years, degenerated into abject and wretched vassals." That is a very clear warning of history of Nations from Dickinson. We are not above this happening to the United States of America. I fear this apathy that is prevalent across the nation, that it will lead to our loss of liberty and freedom. 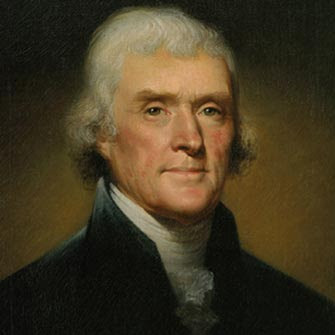 Jefferson warns against this also (see the Declaration of Independence - Preamble). 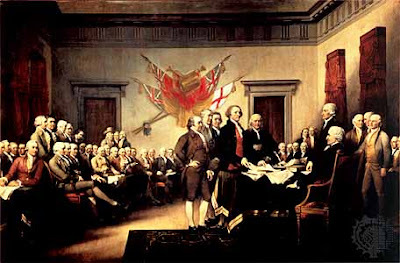 Note that Dickinson was always trying to keep America on terms that would allow the colonies to return to Great Britain in one form or another. So revolution is not always the key. Just keep things running well. And right now, I think the U.S.A has several occurrences that are showing a 'sickness' that needs cured. I am proud to say that Harty's through the generations have actively been involved in honoring America and what it stands for...Liberty! 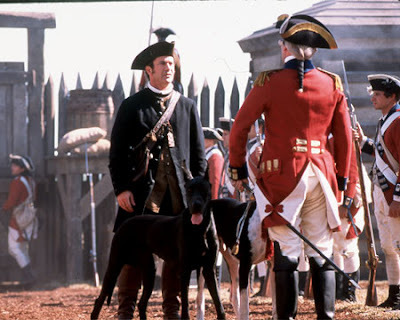 Check out this great video that has the Star Spangled Banner set to scenes from The Patriot. You can imagine the sacrifice of all those patriots who made our choice land a Nation. Please read this Preamble to the Declaration of Independence and remember what your fore bearers did for you to secure this divine Land. I hope that as Americans, we understand fully that we need to follow what Jefferson says on our behalf here. We need to make sure that we guard against being passive or even lackadaisical in our approach towards our freedom and independence. If we do not each guard it, it will be taken away. Let us learn from our ancestors and American fore bearers and protect and fully enjoy the privilege of an American! I am surely proud of Dennis Harty, as all the below listed direct ancestors who, from the minority of colonists, saw the injustices of the British Empire and fought to overthrow it...for me and my children today! 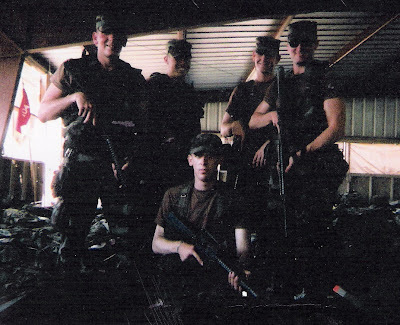 Thank you...I cannot express my true feelings of gratitude towards them for what they did my family and all Americans! One of the chief reasons we do Civil War Reenacting as a family is to honor our direct ancestors who fought in the War Between the States. 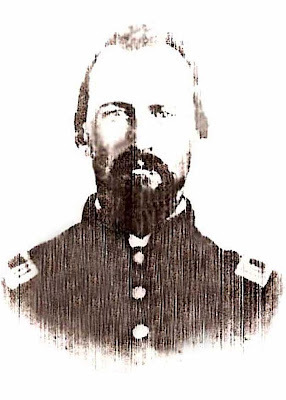 I have a lot of info on Joseph G. Lewis, who fought in the 8th Missouri Cavalry. 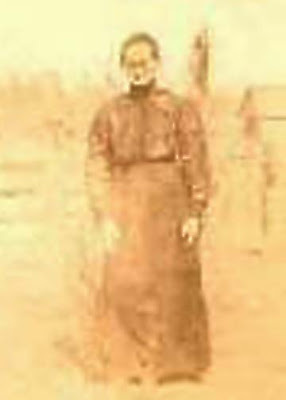 We had 8 other direct ancestors, all who fought to protect the rights of the South, except for Jacob Cossairt, his dad Francis and 3 other siblings. The fought to preserve the Union. I am very proud to be their descendant...from both sides of the War! My Mom, Carol Randolph Buckley Harty, claims to have NO Yankee blood on her side of the family. If you want to see her get mad, just accuse her of such. She doesn't get mad easily, but this clearly slanderous comment on her family tree will get her dander up very quickly! I'm also very proud of William Munford Tuck, Captain of Company K in the 3rd Virginia Infantry under Maj. General James L. Kemper, known as Kemper's Brigade, at Gettysburg. He was injured and captured in Pickett's Charge. He carried a minnie ball in his jaw the rest of his life from this horrible battle. My Mom is a proud descendant of the Tuck family through this patriot...so am I of course! 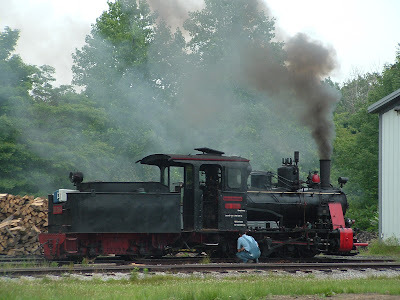 Here is a video that my wife Bethany made of a few clips from the Hesston Steam Museum Civil War event. It was a lot of fun. We ran the scenarios back and forth about every half hour. First, the Confederate forces would stop the train by force and capture the gold. Then the Union forces would return the favor. The spectators had a great time it seemed. It was a beautiful farm that housed the steam trains and various old tractors as well. I highly recommend your visit if you are near Northern Indiana/Southwest Michigan. Dad says he believes that Ruben I owned it first and passed it down. So it has been in the family in direct lines. Pretty cool! Maybe Dad can clarify approximated dates as well. As I remember, the last person to actually fire anything out of the rifle was my Grandpa Harty, when he was about 17 years old. So this around 1940. They used the rifle to hunt vermin, making up their own projectiles as they went along. This wore out the rifling. So in 1994, I had it re-rifled. It also was re-blued and other fixes, like to the loose lever (courtesy of our dry firing and multiple pumps as young boys!). I paid the price for it later...literally! Anyway, this is my favorite and most treasured firearm. It is a fun rifle to shoot as well. It uses .22 shorts, since it was designed for arena competitions back in the day. 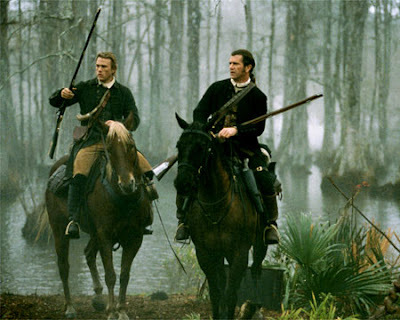 I promised Jake and Tom yesterday that whoever gave me the first grandson, I would give them the rifle to pass down to their son. In this way, we can keep the streak of this rifle in Harty hands through the generations! 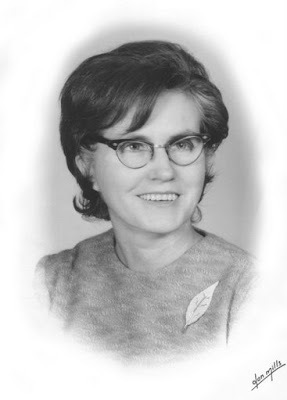 Beth Marie - relative via Paul Harty Sr.